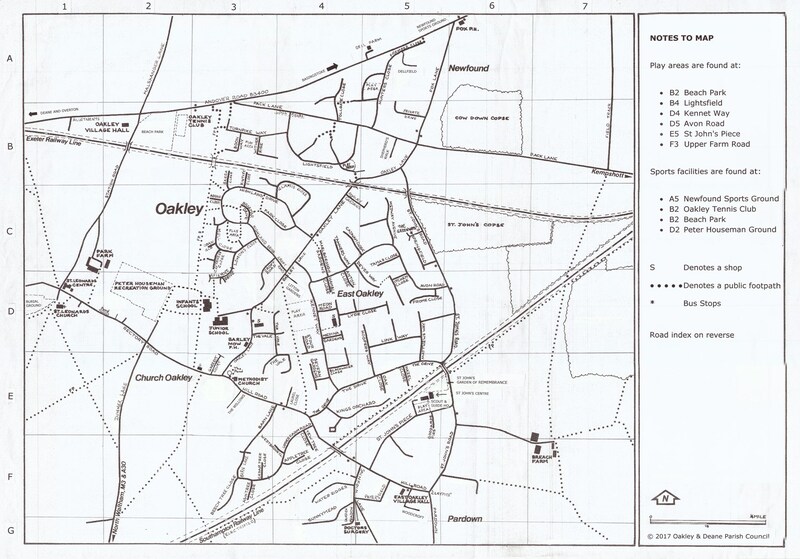 The village of Oakley is situated about five miles west of Basingstoke, Hampshire along the busy B3400 -Basingstoke to Andover road. It is also close to junction 7 of the M3 motorway providing good road connections to London, Winchester and Southampton. Salisbury and Reading are also within easy reach. The mainline station at Basingstoke provides a good rail link to London, Exeter, Bristol, Reading and the north of England There is also a railway station at Overton, a further three miles to the west of the village on the Salisbury / Exeter line. Hourly bus services link Oakley to Basingstoke and Winchester, and the northern part of the village also benefits from an additional hourly service that runs between Andover and Basingstoke via Deane. To see a complete list of roads and facilities in Oakley, and a printable version of the map please open the links below.